Yesterday, President Jacob Zuma announced the release of the report of the Seriti Commission of Inquiry into the Arms Deal. In short, the Commission, which spent years “investigating” it at a cost of tens of millions of rand, found nothing wrong with the Arms Deal at all. Not only was the Arms Deal rational, it also generated jobs and economic benefits. But, most important, it found that there was absolutely no evidence of corruption or fraud sufficient to taint the Arms Deal. By PAUL HOLDEN, ANDREW FEINSTEIN and HENNIE VAN VUUREN. The Seriti Commission of Inquiry’s finding was made despite mounds of evidence in the public domain and two individuals (Schabir Shaik and Tony Yengeni) being found guilty of criminal acts in relation to the deal. In addition, Jacob Zuma, as we all know, currently faces the possibility that criminal charges flowing from his role in the Arms Deal will be reinstated. The report’s findings are beyond disappointing: they are an outrage. The commission was a unique opportunity to fully investigate the Arms Deal, tell the truth to the South African public and see justice done. The result of the commission’s work is the exact opposite: more prevarication, less truth, no justice. But while the commission’s findings are very disappointing, they are hardly surprising. Indeed, in 2014, we decided to withdraw from the commission and refused to testify before it. We did so with the support of over 40 civil society organisations, because there were manifest and serious flaws with how the commission was undertaking its work; flaws that showed that the commission had no intention to conduct a full, meaningful and unbiased investigation into the Arms Deal. One of the problems we pointed to was the fact that multiple employees had resigned from the commission in protest at the way it was doing its work. Two of these employees claimed in public that the commission had no intention of investigating the Arms Deal fully. Instead, the commission’s real goal was the pursuance of a “second agenda” to discredit witnesses who claimed corruption in the deal. Another was the fact that the commission failed to admit key pieces of evidence. One example of this was the Debevoise & Plimpton Report, an internal audit of the arms company Ferrostaal. That report indicated that Ferrostaal had paid tens of millions of rand to individuals with connections to Arms Deal officials and politicians. This was compounded by the fact that Judge Seriti had ruled that witnesses critical of the Arms Deal could not refer to documents that they had not written or events to which they did not personally witness. In effect, this meant that the only people who could testify about corruption in the Arms Deal were those who paid or received bribes – hardly likely to produce any meaningful results. The impact of all of this was magnified by the fact that the commission often failed to test the evidence of witnesses appearing before it through cross-examination, leaving many bald and misleading statements uncontested. One of the best examples of this was when BAE Systems testified before the commission. 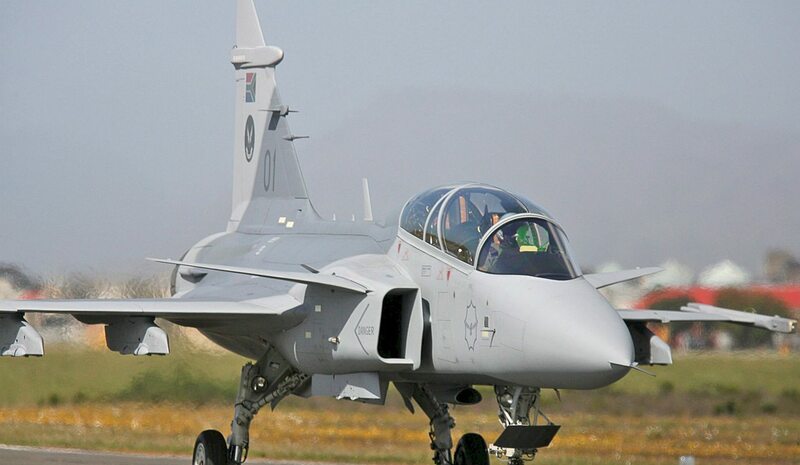 BAE Systems (previously British Aerospace) was the company that received the largest slice of the Arms Deal in providing Hawk and Gripen jets to the South African Air Force. It was investigated for years by the UK Serious Fraud Office and by US authorities. The SFO discovered in its investigation that the company had paid hundreds of millions of rand in “commissions” to politically connected individuals in South Africa to secure the deal. In 2011, the company settled with the US Department of Justice and Department of State, admitting that it had run an opaque and secretive system in which advisers around the world were paid to help secure contracts in multiple countries, including South Africa. One would expect that a company accused of such wrongdoing would be thoroughly questioned by the commission. Far from it. On the final day of the commission’s public hearings, the company was allowed to simply read a statement into the record. The commissioners, and the evidence leaders, asked not a single question to test the evidence on the record. We believe that the conduct of the commission was such that its findings cannot be accepted as fact. Moreover, its conduct was such that it may not withstand a rigorous legal challenge. As such, we are seeking legal advice as to our options in reviewing the report in order to have it set aside, and will, after careful consideration of the report, announce our intentions shortly. See: www.armsdealfacts.com for the details of the evidence that the Seriti Commission could have, but did not consider in making its finding. Photo: A Gripen fighter jet performs at the 2006 Africa Aerospace and Defence show in Cape Town, South Africa Tuesday 19 September 2006. EPA/NIC BOTHMA.